Simply choose from our range of tried and tested management assessment at 4 levels or from our selection of specialist reviews..
Review only those competencies you choose! Build your own 360 assessment, which is role and level specific from our portfolio of 29 competences online..
Our team will work in collaboration with you to identify, articulate, create and deploy a 360 review that assess and delivers the outcomes you desire..
You may look to start using 360 reviews today. You may want to invest some further time in shaping something specifically for your organisation. Either way, we can work with you, however you want. You can get up and running now using our 360 Instant product or you can choose to create your own survey from our library of competences from within 360 Options. Or, if you want to design your own competence framework from scratch, talk to us and we can design your own 360 Unique assessment just for you. Whatever you need, just get in touch. The 360 questionnaire is only the start. As part of using our 360-degree assessments, you will get a detailed and more importantly easy-to-understand report which flags the key development areas and actions for you. You'll be able to understand your strengths, know where you need to focus attention and understand how your reviewers see you. An all round view of how an individual is performing in the workplace can be difficult to obtain without the right tools. However, by utilising multi-rater feedback, along with our years of experience in the field, we can help your organisation to pinpoint areas where employees have scope for improvement as well as highlight their strengths and skills. This technique has been in existence for many years but in contrast to the days when reviews were in the form of printed questionnaires, the online technology used today provides employers with instant access to results and the ability to drill down through layers of data to analyse the performance of large groups as well as individual members of staff. Our team of highly experienced professionals can help your company to review the performance of its employees with sophisticated tools and help you to make the most of a 360 degree appraisal. 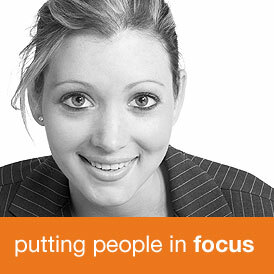 Providing our clients with the ability to assess individuals and whole departments is just part of what we do. In our opinion, the most important work is done after the reviews have been completed and submitted online. What happens next is up to the client, but we believe that it is important to use the information that has been gathered to make positive changes that help employees to perform to the best of their abilities. The first step is to evaluate the responses that have been received and to follow them up for further clarification if necessary. Once you have a clear idea of the strengths and weaknesses of an individual, it is possible to put together a training and development plan that is designed to focus on areas in which improvement is desirable. Online software makes it easier to identify leadership issues and make an accurate 360 feedback assessment.